albedo takes place 500 miles from the North Pole. 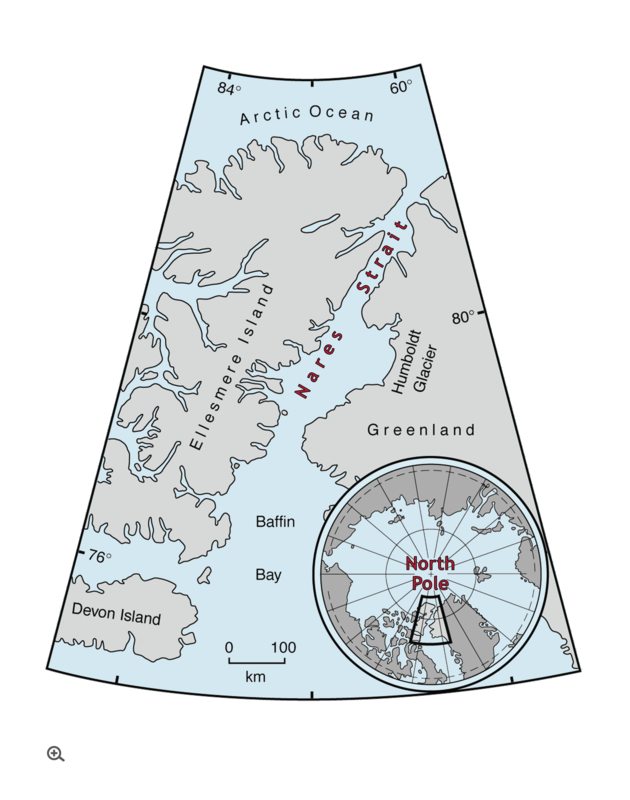 Its setting is Nares Strait, the narrow channel separating northernmost Canada from Greenland. Part of the World Wildlife Fund’s designated Last Ice Area, Nares Strait is an oceanic passageway where powerful currents coalesce to push cold Arctic waters southward. Picturing the geographical significance of the Arctic Ocean in relation to this passage is best done with a globe. A view over the top of the world reveals the true immensity of this ocean. That view also reveals an ocean almost completely surrounded by landmasses, with Nares Strait providing one of its few outlets. On a summers day in the not too distant future, the Northern Hemisphere’s last scraps of sea ice will leave the Arctic Ocean through this Strait, each floe on a path of no return. In the summer, when the ice breaks up, an incredible rush of sea ice flows into this channel. The ice floats south, past rugged polar mountains that rise above both eastern and western shores. Above the peaks, the Greenland Icecap glistens in the sun. Massive glaciers terminate along the coastline, and the crash of icebergs calving into the sea can be heard for miles. These new icebergs join the pack ice in the southward drift. 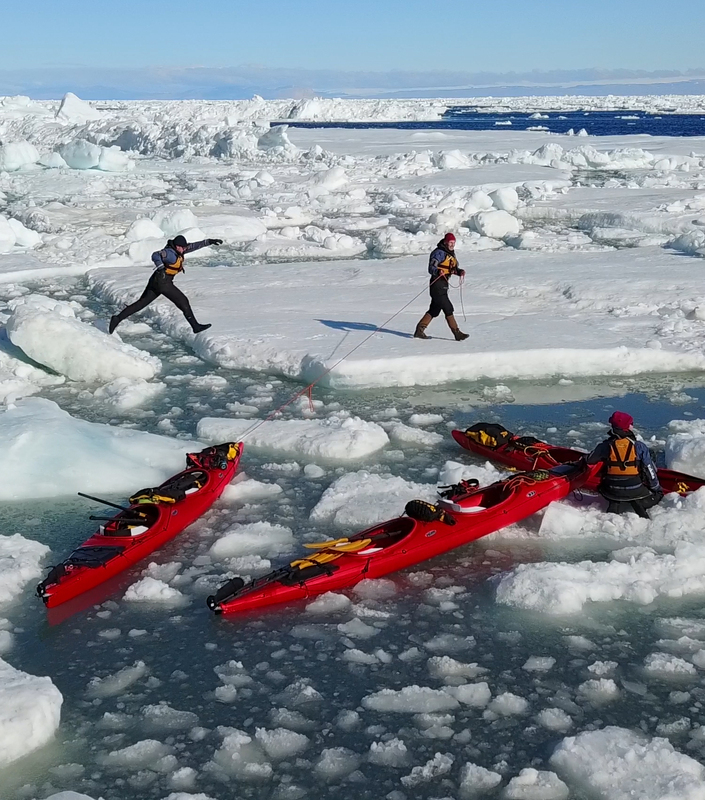 With icebound shores and an abundance of marine wildlife, Nares Strait is a dynamic place to study sea ice, and a truly spectacular setting for a wilderness expedition. albedo is a fiscally sponsored documentary project of The Redford Center, a 501(c)(3) nonprofit arts organization. The Redford Center focuses upon environmental projects that it considers well poised for impact. Contributions in support of the project are payable to the Redford Center and are tax-deductible to the extent permitted by law. Stay with us in our journey to produce the feature film. Subscribe to our intermittent newsletter. © 2019 albedo – Enduring Ice. All Rights Reserved.